A combination of injuries and suspensions ultimately dropped Dallas to a 9-7 season. Quarterback Dak Prescott took a step back thanks to an inconsistent running game, an injured offensive line, and lack playmakers on the outside. After much legal battling through the season, running back Ezekiel Elliot served his six game suspension for violating the leagues personal conduct policy. In the 10 games he did play, he finished with just under 1,000 yards rushing. Alfred Morris was decent in replacing Elliot with a 4.8 yards per carry average. Rod Smith was a solid backup, finishing with four touchdowns. Tight end Jason Witten was still serviceable in his 15th season despite having the fewest receptions and yards per catch of his career. Rico Gathers looks to be Witten's heir apparent, but he spent the season on injured reserve. The entire receiving corps underperformed. Dez Bryant didn't produce the way his $13 million salary would suggest. Cole Beasley had half the number of catches he had in 2016 and Terrance Williams didn't have a touchdown all year. Left tackle Tyron Smith showed his value after missing parts of five games with injuries. Dallas couldn't run or pass without him. La'el Collins made the successful move to right tackle and Jonathan Cooper had a solid season at left guard. Defensive tackle David Irving was on his way to a big year before missing the final four games with a concussion. Maliek Collins made a successful move to nose tackle and Tyrone Crawford remains a high effort, minimal production player. Weakside linebacker Sean Lee is the undisputed leader of the defense, finishing with over 100 tackles for the third straight year, but Dallas was 1-4 when he was injured. Jaylon Smith returned from his horrific knee injury and was good in a limited capacity. Cornerback Orlando Scandrick was constantly exposed by opposing offenses and missed the final four games with injury. Byron Jones doesn't tackle well and makes few big plays while Jeff Heath is solid but not a difference maker. Kicker Dan Bailey entered the year as the most accurate kicker in league history. He suffered a groin injury that caused him to miss four games and then missed four field goals and two extra points. Punter Chris Jones had a Pro Bowl worthy season, landing 37 punts inside the 20. The team produced five Pro Bowlers in tight end Jason Witten, offensive tackle Tyron Smith, guard Zack Martin, center Travis Frederick, and defensive end DeMarcus Lawrence. Smith, Martin, and Frederick made their fourth consecutive Pro Bowl together. Lawrence had a break out season with a career high 14.5 sacks. The rookie class struggled, but look to be the future of this team. Defensive end Taco Charlton showed flashes but remains a developmental prospect. Cornerback Chidobe Awuzie was slowed by a hamstring injury but played well late in the season. Cornerback Jourdan Lewis was fearless and competitive despite being over matched at times while never getting beat deep. Outside of one punt return touchdown, wide receiver/ return specialist Ryan Switzer was indecisive on offense and special teams. Safety Xavier Rhodes found a home as the team's nickel corner. Wide receiver Noah Brown was a stud on special teams and as a run blocker, and could have a bigger role in the offense. Undrafted quarterback Cooper Rush shined in the preseason and passed Kellen Moore as the backup. 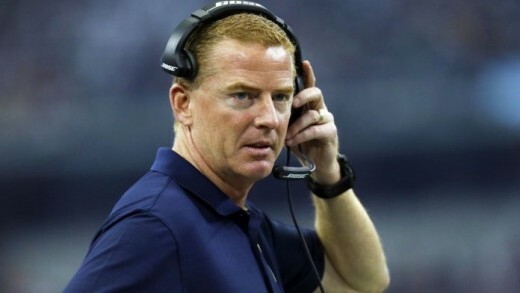 Following the 9-7, many were calling for the firing of head coach Jason Garrett as the team missed the playoffs for the fifth time in his seven full seasons with the team. Garrett will return for 2018, but many assistant coaches will need changed. After quarterback Kellen Moore retired from playing, he replaced Wade Wilson as the team's quarterbacks coach. On June 15, it was announced that defensive tackle David Irving would again be suspended for the first four games of the regular season due to violating the league's performance enhancing drug policy. Holding the 19th overall pick going into the draft, the Cowboys need to make changes if they want to get back into the playoffs. Most notably at wide receiver, tackle, and linebacker. Dez Bryant is now gone and that's probably for the best, but the team does need a true number one receiver to bring life back to the passing attack. Tyron Smith has missed time the past two seasons. Cameron Fleming could be a solid swing tackle, but additional depth could be needed. Anthony Huitchens is now in Kansas City and Sean Lee is very injury prone. The corps needs talent and depth. 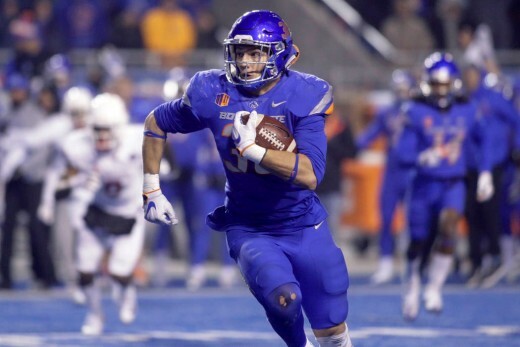 When it came to pick, Dallas selected Boise State linebacker Leighton Vander Esch with the 19th overall pick. Vander Esch looks the part of the prototype NFL linebacker, but needs to improve his anticipation and technique to avoid cut blocks. The Cowboys also notably drafted Texas tackle Connor Williams in the second round, Colorado State wide receiver Michael Gallup in the third, Stanford tight end Dalton Schultz in the fourth, and Alabama running back Bo Scarbrough in he seventh. Williams was viewed as the best pass protecting tackle in the draft, but his lack of length may force him to move inside to guard. Gallup is a polished route runner who lined up all over the field, but doesn't have elite quickness off the line. Schultz played in a pro style offense that allowed him to be a good pass catcher and run blocker, but needs to build up strength to go against NFL defenses. Scarbrough has the build of a workhorse, power back, but needs to improve his pad level to avoid giving defenders a big target. 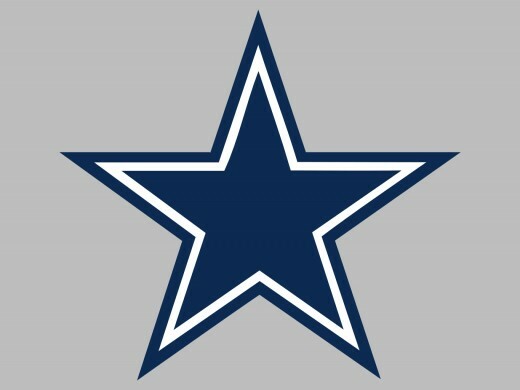 Considering the changes they made in the offseason, I like where the Cowboys are headed. Dak Prescott should have a bounce back season. Statistically he wasn't horrible last season, but he could be just as efficient as he was his rookie year. The big thing will be for Ezekiel Elliott to stay out of trouble and be there for all 16 games. The offense runs through Elliot and is next to unstoppable when he is in the lineup. I can see the team using Rod Smith with regularity during the season and Bo Scarbrough will be a bruising goal line runner. The wide receiver corps doesn't look to have a true number one receiver, but Prescott plays better when he spreads the ball around so I don't see one receiver lightning up the stat sheet, but all the receivers will see considerable playing time. With Jason Witten retiring and going into broadcasting, it will be up to Rico Gathers and Dalton Schultz to carry his responsibilities. Gathers has the ability to be a mismatch down the seam and Schultz is an able and willing blocker. With the addition of Cameron Fleming and Connor Williams, the offensive line looks to be the best in football by a mile. Without David Irving for the first four games, Taco Charlton will have to step up and show he is worthy of a first round pick. The linebacker corps of Sean Lee, Leighton Vander Esch, and Jaylon Smith could be as talented as any if they can remain healthy. Chidobe Awuzie and Jourdan Lewis showed they're capable of starting with Anthony Brown being an ideal nickel corner. The big question is at free safety with Byron Jones likely moving back to cornerback. It is unknown who will play alongside Jeff Heath. Dallas is creeping up on Philadelphia in the NFC East and I see them as the only team capable of challenging them. Given the Eagles stacked roster, its likely the Cowboys finish second in the division and possibly getting a wildcard spot. How will the Cowboys fair this season?